BT's piper has sounded his final call as the telecoms group announced a new global logo. The current piper will be replaced with a 'connected world' image, already used as the logo for BT Openworld. The move is what BT calls a 'visual identity change', its first since 1991 and only the second since it became British Telecom in 1980. The new look comes as a report from the telecoms regulator Oftel which said over a million UK phone users are now using an alternative phone company to BT while still using a BT line. BT said its new look "reflects the wide range of activities that BT now encompasses". "It represents BT as being in-tune with the multi-media age as well as communicating the company's international reach," the group said in a statement. The rebranding costs will "less than £5m" over three years. A spokesman for the telecoms group told BBC News Online that the majority of these costs will be for implementing the new brand on corporate uniforms, vans, buildings and corporate literature. 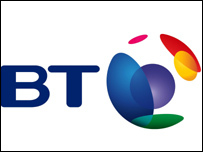 BT said the timing of the rebranding had been chosen "to coincide with the launch internally of a new set of behavioural values". These behavioural values include making every experience "simple and complete". The rebranding also coincides with Oftel's report into customers using carrier pre-selection - a service which allows them to use an alternative phone company to BT without changing their phone line. Oftel said over a million UK customers have opted for a new carrier. BT defended the numbers. "This is no surprise and what you have to remember is that we have just as many people coming back to BT as leaving," said a spokesman. "But we are not going to get complacent," he added.